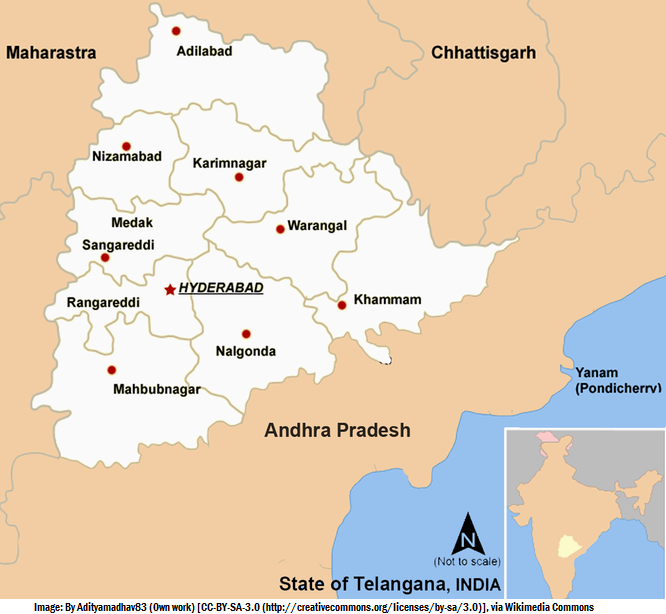 Telangana is the newest state (29th) of India. The meaning of Telangana is "Land of Telugus". Before the independence of India, it was part of the princely state of Hyderabad. In 1956, It was merged with Andhra Pradesh. Several movements were organised to create a separate state. The movements of 1969, 1972, and 2009 were havoc. At last on 2nd June of 2014, Telangana state was created.